When it comes to raw beauty, Tanzania has it in spades. This awe-inspiring country in southern Africa boasts some of the world’s most mesmerizing natural areas, where diverse vegetation and a vast array of wildlife thrive—and checking one of the Big Five game animals off your must-see list simply requires scanning the horizon. Here are the four national parks you’ll visit while traveling on our Tanzania Wildlife Safari, and some of the staggering wonders you’re sure to spot in each. 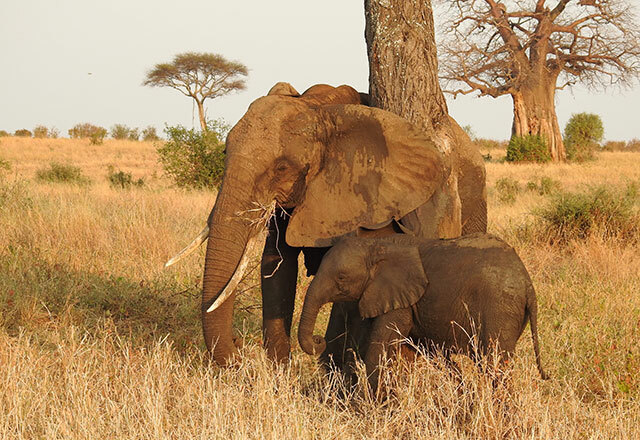 Of the many animals that call Tarangire home, it’s the elephants that will really take your breath away. Tanzania’s densest concentration of elephants gathers here, and it never gets old to watch everything from babies to bulls strolling by your safari car. You can see the park’s herds of elephants any time of year, but they’re particularly impressive during the dry season, when large groups gather around water sources. While the wildlife may be the real star of Tarangire, the baobab trees that dot the landscape certainly shine. Tanzania is home to the largest species of baobab in the world, and the plants (which are actually succulents) owe their impressive size to the fact that they can live for thousands of years. You should be sure to snap a photo while zipping by because Tarangire is the only park where you’ll have the chance to see them on tour. Black or white rhinos don’t call this park home. And while you may get lucky, it’s also rare to see cheetahs here. If the thought of seeing the king of the jungle lounging on a tree branch strikes you as odd, you’re not off the mark. Unlike leopards, which often bring their kill into a tree to eat, lions most often have four paws firmly planted on the ground. However, there are two places in all of Africa where the lions have taken to tree climbing, and Lake Manyara National Park is one of them. While there is no definite explanation for this interesting animal behavior, it doesn’t make it any less amazing to see these big cats sleeping in Acacia or Mahogany trees. The majority of this narrow park is covered by—you guessed it—Lake Manyara, and the alkaline body of water draws a staggering variety of birdlife. 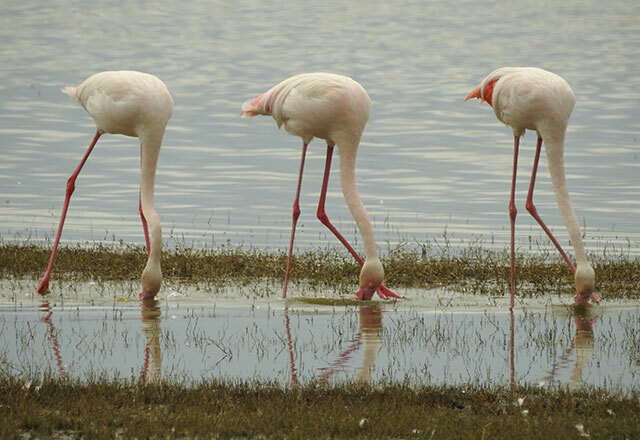 Of the many winged things you can see, the thousands of flamingoes that line the shores are some of the most alluring. Seeing a cluster of zebras or Cape buffalo is always amazing, but admiring them against a backdrop of pink feathers is even more striking. 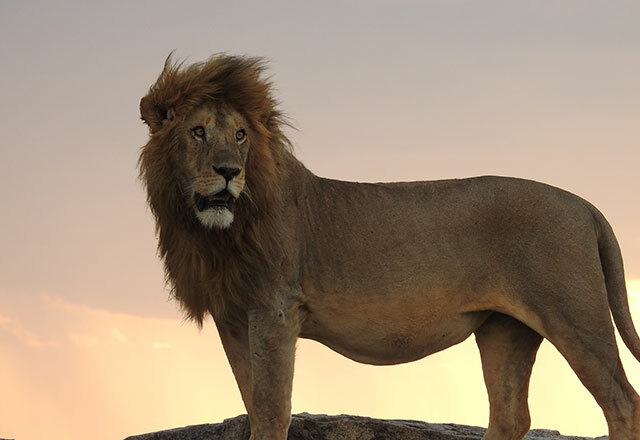 Lions, leopards, cheetahs—if big cats are what you seek, the Serengeti will certainly not disappoint. While it can be difficult to see cats in Tarangire and Lake Manyara, it’s more difficult not to see them in the Serengeti. From watching lions hunt, sleep, and mate to spotting cubs nursing and playing, it’s possible to witness almost every one of the cats’ natural behaviors during your three days exploring the Serengeti Plain. The Serengeti plays host to Earth’s greatest mammal migration, which sits distinguished as one of the wonders of the natural world. This annual journey takes millions of wildebeest, zebras, and gazelles in a year-long circuit from the Ndutu region in the southern Serengeti to the Maasai Mara in southern Kenya and back again, and seeing a portion of the event is a fortunate and captivating thing. Yearly rainfall dictates the exact timing of the migration, and what you see depends on when you visit: calving usually takes place from January to March, May and June are the times of the mating rut in the central Serengeti, and spectacular river crossings occur between July and October. One of the Ngorongoro Crater’s most notable claims to fame? It’s one of the only areas left on Earth where a handful of elusive black rhinos thrive. Poaching has done a number on this now critically endangered species, and less than 20 are believed to live in the crater today. While these shy, aggressive animals tend to graze in the middle of quiet plains, visiting during the wet season from November to May increases your chances of getting a glimpse—and a good safari packing tip is to bring a pair of binoculars to up your odds of getting a good look. You should certainly keep your eyes peeled, but don’t get so caught up on spotting a rhino that you forget to enjoy all of the other breathtaking animals you’ll see. 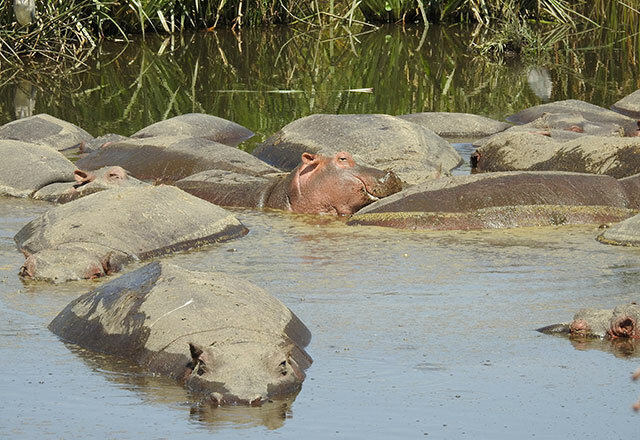 What have you always dreamed of seeing in Africa? Tell us in the comments below!